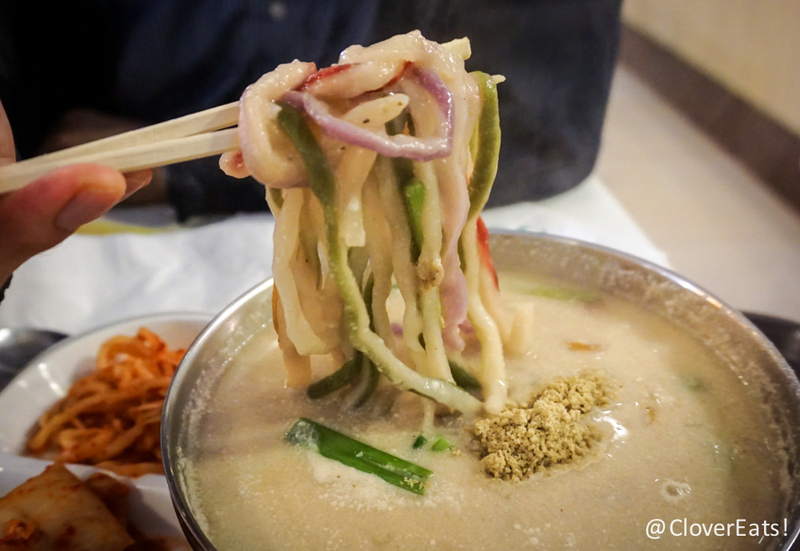 CloverExplores: Dadam in NYC Koreatown | Clover Eats! We originally got pulled into Food Gallery 32 because of Bunn (separate review to come), with delicious soft red bean fish that were simply fantastic. However, once we stepped in, we were delighted by the vast array of offerings in this food court style building. We had seen rave reviews for Dadam on Yelp, but hadn’t known where to find it – turns out it’s on the third floor of this building. 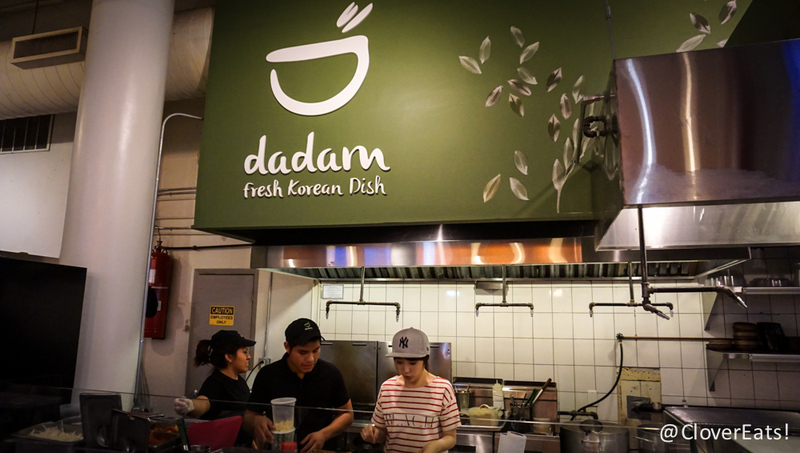 Despite being a cafeteria-type restaurant, Dadam had quite high production value photography of their food, which was displayed on loop on some of the monitors. We sat, eating our red bean fish, and watched photo after photo of beautiful noodle dishes and then had to try one. We got the three color handmade noodle soup (these noodles were absolutely fantastic in texture, chewy and thick, with the added bonus of being three colors). Hungry City had a great article about another spot by the same owner, and described noodles as being colored with carrot and beet juice. 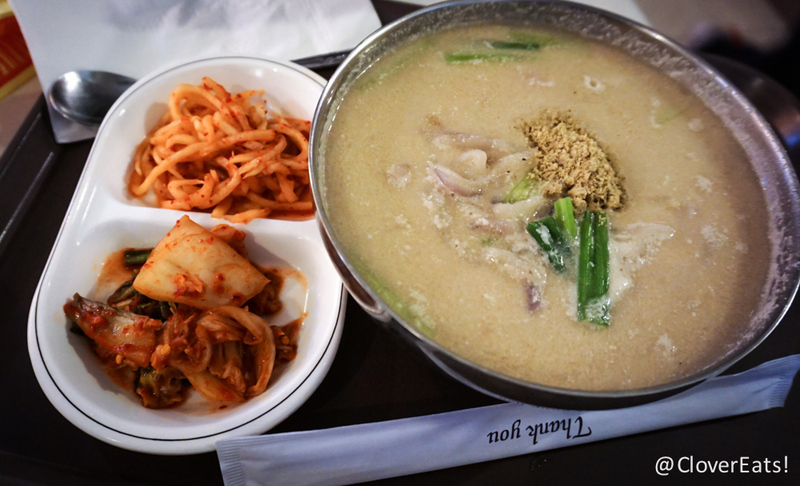 You also get a side of two kimchis, which cut through the noodles and perilla seed broth. I’ve never had perilla seed broth for my noodles before, and found it probably a little too nutty for my taste, although Fred liked it a lot. Overall a great spot to stop and grab some food. If I lived close to this place, I’d be in here every day. 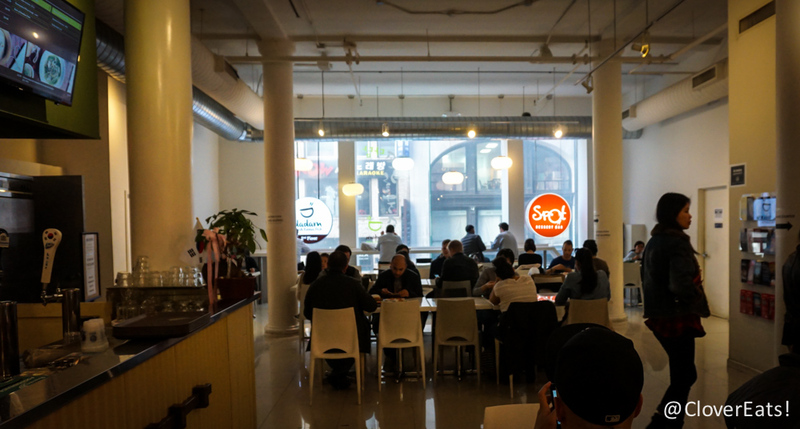 We saw lots of people grabbing lunch, and one order is more than enough to fill you up. Check them out on Yelp or at their website!